I have lived in Florida since 1968, a transplant from Brooklyn, New York. I have had my Real Estate License since 1982 and have continued to earn the Certifications of Graduate Residential Institute, Certified Residentai Specialist, Short Sale and Foreclosure Specalist and Relocation. My value propostion is to give my clients a wonderful experience through business transactions, whether Selling or Buying Property, at the same time making the procedure quick, easy and seamless while still making it a personalized caring and simple manner. My work ethic and professionalism acuity are a few of the tools that afford me to achieve this and set me apart from others in my choosen field. Dedication, Enthusiasm and Tireless efforts have resulted in many successfully closed transactions. Looking to Buy or Sell a home is one of the most important decisions you will make, when it's time for you or someone you know to make the MOVE..
You are entitled to A Fine Real Estate Experience! Relocation, Residential and Condominiums Resale’s, Luxury Properties, Retirement, New Home Sales. Active Adult Communities. Oceanside Communities. "Love working with Elaine, she has been my agent for 15 years. I have done several transactions with her from selling, to buying and renting. Elaine is always very professional, knowledgeable and patient. 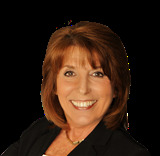 Highly recommend Elaine to be your agent." "Her experience and tenure in the business of real estate is unmatched. She has surpassed all of my expectations. " "SHE IS THOROUGH , SHOWS ENTHUSIASM IN HELPING PEOPLE. A GREAT LISTENER. AND MAKES IT ALL ABOUT HER CLIENTS! "